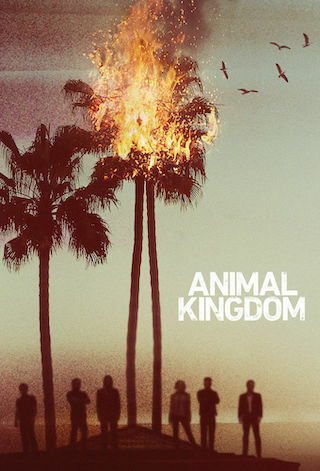 Animal Kingdom is an American 60 minute scripted crime television series, which kicked off on June 14, 2016, on TNT and is broadcast every Tuesday at 21:00. The show is currently in its 4th season. Animal Kingdom Season 4 release date is slated for May 28, 2019 on TNT. Sign up to track down the status of the next seasons of Animal Kingdom. July 2, 2018 - TNT has renewed two of its core, powerful dramas - Animal Kingdom and Claws - following their impressive summer premieres. Animal Kingdom is seeing an incredible increase in digital views, with its season premiere up more than 4X YOY. On social, Animal Kingdom sparked more than one million engagements in its first week, up +18% YOY. Digital views for Claws's season premiere were more than 2X higher YOY and season two has already generated more than 700K social engagements in its first week alone, with +75% growth on Twitter and +58% growth on Facebook. Season three of Animal Kingdom, a bold, adrenaline-fueled series, stars Emmy® and Tony® winner Ellen Barkin as the matriarch of the Cody crime family, along with Shawn Hatosy, Ben Robson, Jake Weary, Finn Cole, Molly Gordon, Carolina Guerra and special guest star and Emmy® nominee Denis Leary. In last season's shocking conclusion, Baz was shot while on his way to Mexico after framing Smurf for murder. His fate was revealed in the season three premiere, which opens with Smurf still in jail and her grandson J in charge of the family business. The Cody men find themselves increasingly divided as they fight for both control and their independence, but have to come together when outside threats emerge. Denis Leary made his series debut as Billy, Deran's drifter dad who comes back to make amends, but may have other motives.